Regina Evans of Reginas Door invokes the divine forces of love through a creative healing performance in honor of Mother Ancestors, utilizing the creative devices of costume, song, dance, and poetry. 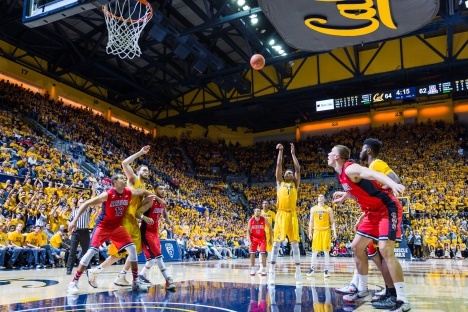 Cal Men's Basketball hosts UCLA in conference action at Haas Pavilion. Learn more about OLLI's courses, lectures, and social programming and hear directly from the faculty about the courses and workshops they will be teaching. Doors open at 9:30 a.m., program begins at 10:00 a.m. No need to RSVP! Please note that instructors whose courses are fully enrolled will not present, and some other faculty members may have schedule conflicts. UC Berkeley Extension's Professional Program in Graphic Design offers a study of design principles and an appreciation of historical and current trends. Find out how you can learn from industry professionals to build a portfolio and advance in the field.